To book a birthday party, please call the H.G.R. Mews Community Centre at 709-576-8499 or the Paul Reynolds Community Centre at 709-576-8631. Keep in mind that party slots fill quickly! Parents/caregivers can access the multipurpose room for setup during the swimming portion of the rental. 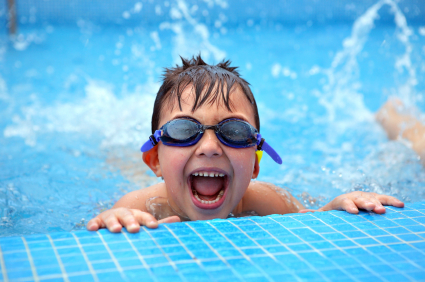 Rental costs are based on the number of people attending the pool portion of the party, which includes children and adults in the pool and/or observing on the pool deck. People observing from the observation area are not included in this number. Parties can be booked in person at the H.G.R. Mews Community Centre or the Paul Reynolds Community Centre, or by phoning 709-576-8499 or 709-576-8631 if paying by VISA/Mastercard/American Express. The City of St. John's reserves the right to cancel advance bookings in the event of a program or schedule change. In such a case, a full refund will be granted. All children under the age of eight must be accompanied in the water by a responsible supervisor sixteen years of age or older. One supervisor may be responsible for a maximum of three children under the age of eight. The party room wil be available during the pool portion of the party to allow for set-up and a place for you to leave gifts and supplies. However, the City of St. John's is not responsible for lost or stolen items. There is absolutely no alcohol or smoking permitted in our facilities at any time. Outside vendors are permitted, however they must have insurance and be approved by the City of St. John's. No private/home inflatables or Nerf toys are allowed to be used due to insurance liability. Decorations are permitted in the party room and must be removed after the party. No tape or tacks allowed on walls. Please check with front desk staff about the availability of appliances at each facility, however appliances such as hot plates and deep fryers cannot be used. Copies of all rules listed above are given to all renters as a contract which must be reviewed and signed prior to the start of the party. Cancellations/refunds must be requested 14 days in advance of the rental. Renters will be responsible for any damages to City property arising. Pool space is available for private rentals at all of our swimming pools. Private rentals are a great way to enjoy a family gathering, or a corporate fun day. For further information, please contact the Program & Operations Coordinator at 709-576-8623 or email recreation@stjohns.ca. Copyright © 2019 City Of St. John's - Mobile. All rights reserved.